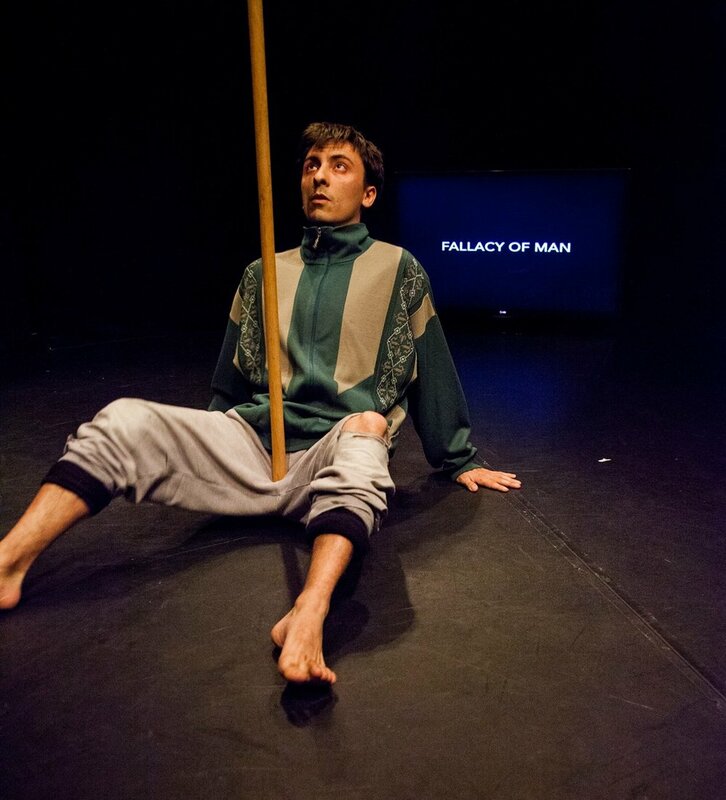 STICKMAN is a new contemporary solo authored and performed by Darragh McLoughlin. The full length show is conceived for black box stages and aimed to premiere in spring 2019. On stage lays a man, and a stick. In the background a large flat screened T.V. flickers. The T.V reads “MAN / STICK”, as if to clear up any doubt as to what is right in front of us. This is not a story. There is no narrative. But over time the Man and the Stick pass through forms together, and a certain independency emerges. All the while the T.V. tells us what to see. We don’t like being told what to see all the time, but now how can we see anything else?